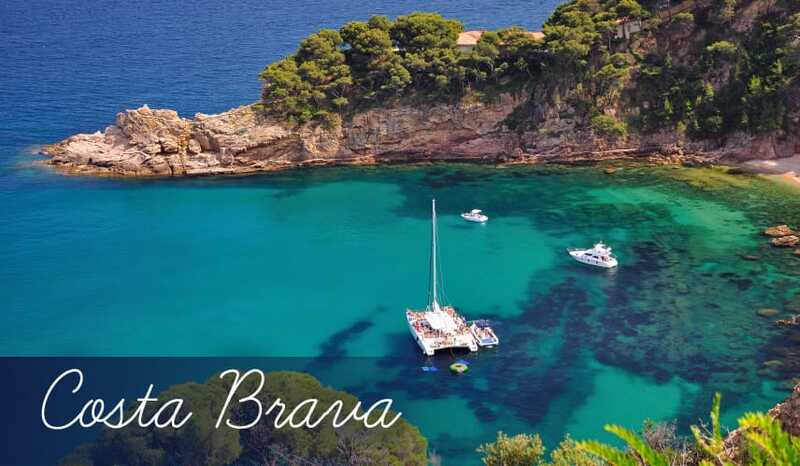 Cultural holidays: One of the major cities in Costa Brava, holidays to Girona have a great number of landmarks and attractions which will fascinate and inspire you. With elegant renaissance buildings, six museums and a large river flowing through its centre, you’ll find there’s a beautiful sight on almost every corner on city breaks to Girona 2019. Many excellent restaurants: There’s a huge variety of restaurants in Girona, and it’s actually possible to try cuisines from all over the world in this cosmopolitan Catalan city. However, as you’d expect the Spanish restaurants are the real highlight, and there are plenty of them serving tapas and many more classic Iberian dishes. Great shopping: Holidays to Girona have a rather sedate pace for a major city, so it’s very pleasant to stroll around the winding streets taking in the sights and sounds whilst browsing shops. You won’t find too many commercial centres in Girona; instead you’ll discover independent boutiques offering unique items that can’t be bought anywhere else. Girona Cathedral: Truly the shining star of attractions during holidays to Girona, this gothic cathedral casts a majestic sight looming over the maze of vibrant yellow and orange houses below. Building began on the cathedral in 1312 and since then it has undergone several stages of construction meaning it was not entirely finished until as late as 1975! Viewing is essential to appreciate the sheer beauty of the arching nave, leafy cloister and intricately designed chapels. Arab Baths: Built in 1194 when Girona was under control by the Moors, this building imitates the baths which were in common use across all parts of the Muslim world at the time. For a very low entry fee you can see the structures and workings of the bath, including the stone furnace which was used to heat the building. Sant Feliu: There has been a Christian settlement in Girona right back since the 1st century BC. The church that stands here now actually incorporates some of the building which originally stood in Girona during Roman times. Further building work was completed on the church from the 11th-17th centuries and it can boast of having the widest gothic nave in the world. Museum of the history of the Jews: There was a very large number of Jews who settled in Girona as far back as the 9th century. But almost the entire community was eradicated in 1492 when the Catholic kings of Spain forcibly removed Jews from the Catalonia region. However, their 700 year stay in Costa Brava was still more than enough time to make their mark on the region, and this museum displays many artefacts from the period as well as lots of interesting details on what life was like for the community. Museum of Art: An excellent collection which encompasses lots of different forms of art dating from the 16th century to the present day. There’s an understated nod to Girona in many pieces, with the gallery recognising the importance of the city during many art movements such as Realism and Modernism. Parc de la Devasa: This beautiful park is an oasis of greenery amongst the sprawling urban landscape of the city of Girona. The densely packed banana trees have created nine shaded walks, which all make for a pleasant stroll under cover from the sun during holidays here. El Celler de Can Roca: For a truly special meal on your holidays in Girona, head to this classy gourmet restaurant. It actually has 3 Michelin stars and was voted the 4th best restaurant in the world, so as you can imagine booking is essential. To accompany the sleek, modernist design, the dishes are extremely creative with some being served on wooden blocks or in Bonsai Trees! A very memorable eating experience, you even get to keep a small copy of your menu to remind you what you ordered. Vinil: Excellent value for money, the menu of the day at this quaint little restaurant has a very low price making it easier to have cheap holidays that won’t break the bank. The food is of the Mediterranean variety, with goat’s cheese heavily featured, and many dishes served with a customary drizzling of olive oil or balsamic vinegar. Draps: Be warned – the portions are absolutely huge here, but then that’ll mean your money will stretch further during your holidays to Girona! Each of the four courses on the menu is purposely created to be shared, so they’re twice as big as dishes from other restaurants. Large, fresh salads are a speciality and the Pesto Pasta with Serrano Ham is a real delight. Spanish bars: City breaks in Girona have a very cultural feel which have stuck to their Catalonian roots. This is equally as true for the many traditional bars in Girona - they offer you the opportunity to people watch and really get immersed in the Spanish way of life. The best streets for bars are right in the heart of Girona, such as the streets of Rambla de la Llibertat, Ballesteries and Placa Independencia. There are also a few decent clubs if you feel like extending your night into the early morning! Head to the Sunset Jazz Club or Nummulit for loud music and a party atmosphere. Original boutiques: Girona city breaks aren’t really the place for big name brands and huge shopping centres, although you’ll probably spot a few labels you recognise. Walking along the waterfront of the Onyar River is always a pleasant experience and its here you’ll also come across some stylish fashion boutiques. Additionally, the street of Santa Clara close to the river is lined with independent shops. Overall though, the three main commercial streets in the oldest part of Girona are the best places for shopping – Carrer S. Clara, Carrer Nou, and La Rambla de la Llibertat.